Windows 10 and some previous versions of Windows sometimes create a folder called Windows.old. This folder is usually created when you install a new version of Windows, and today we’re going to explain what does this folder do and how to remove it from Windows 10. What is Windows.old and how to remove it from Windows 10? When you install a new version of Windows, such as Windows 10 Anniversary Update for example, your system automatically moves your older installation to Windows.old folder. With this folder available you can easily restore the previous version of Windows if the new one isn’t working properly for you. In addition, this folder works as a backup, so even if the installation process fails for some reason, your PC can use Windows.old folder to restore the previous version of Windows. You should also know that you can roll back to the previous version of Windows 10 days after its installation, and after that period ends, Windows.old folder will be automatically deleted from your system. As you can see, Windows.old folder can be extremely useful since it allows you to restore the previous version of Windows, but many users want to delete this folder since it takes a lot of space on their hard drive. Keep in mind that by deleting this folder you won’t be able to revert back to the older version of Windows in case there’s any major problem. Since this folder can take 30GB or more of your hard drive space, today we’re going to show you how to safely remove it from your PC. 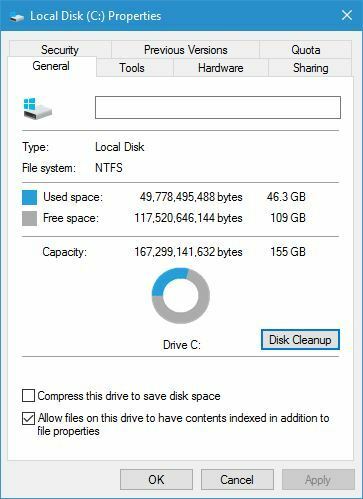 Windows 10 comes with a useful little tool called Disk Cleanup that allows you to quickly free up space on your hard drive. This application will scan your hard drive partition for old or temporary files and allow you to remove them easily with a single click. 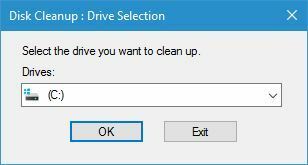 When Disk Cleanup tool opens you’ll need to select which drive you want to clean. Select the drive where Windows 10 is installed and click OK. 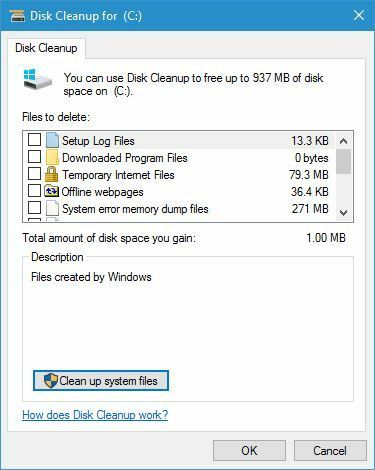 Disk Cleanup tool will now scan your PC for old and temporary files. This process might take a minute or two depending on the size of your partition. Check if Previous Windows installation(s) option is available. If it is, check it and click OK. You should see a confirmation message available. Select Delete Files and wait until the previous version of Windows is removed. Optional: If Previous Windows installation(s) option isn’t available for you, click Clean up system files button and wait for the scan to complete. After that, select Previous Windows installation(s) and follow the instructions from previous step. Locate your primary hard drive partition and right click it. Choose Properties from the menu. 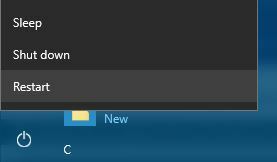 Go to the General tab and click the Disk Cleanup button. Now follow the instructions described in the steps above. After the commands are executed, close Command Prompt and check if the Windows.old folder is removed. Few users reported that they needed to use two extra commands before they can remove Windows.old folder from their PC. According to them, they had to use takeown /F C:Windows.old /A /R and icacls C:Windows.old /Grant Administrators:F /inheritance:e /T commands to take ownership over the Windows.old folder and remove it. Click the Power button, hold the Shift key and choose the Restart option. When your PC restarts, choose Troubleshoot > Advanced options. A list of options will be available. Select Command Prompt. Enter diskpart in Command Prompt and press Enter. We have to warn you that diskpart is a powerful tool, so use extra caution while using it. List of all available partitions will now appear. Now you need to locate your drive letter. The easiest way to do that is to compare the size of available partitions. After you find the desired partition, check the Ltr column and memorize its letter. In most cases it should be D, but it might be different on your PC. Enter exit to quit diskpart tool. Now enter RD /S /Q “D:Windows.old” command and press Enter to run it. Keep in mind that you need to use the correct letter that you got in Step 3. In our case that was D, but be sure to double check it on your PC. After running the aforementioned command, Windows.old folder will be removed from your PC. Now you just need to close Command Prompt and start Windows 10 normally. 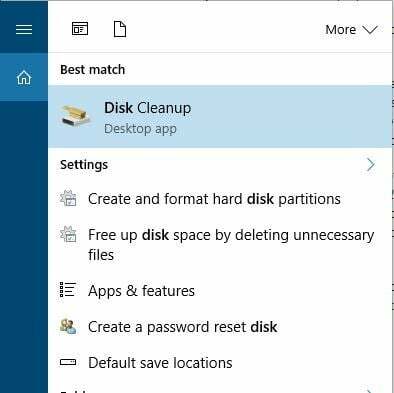 As we already mentioned, using Disk Cleanup is the safest and simplest way to remove Windows.old folder from your PC, so you should use it always over Command Prompt. If you decide to use Command Prompt from Windows 10, you’ll have to change the attributes of Windows.old folder, and that can sometimes cause certain issues so it might be better that you use Command Prompt during the boot since it doesn’t require that you change the attributes of the Windows.old folder. Start CCleaner and click the Cleaner title. 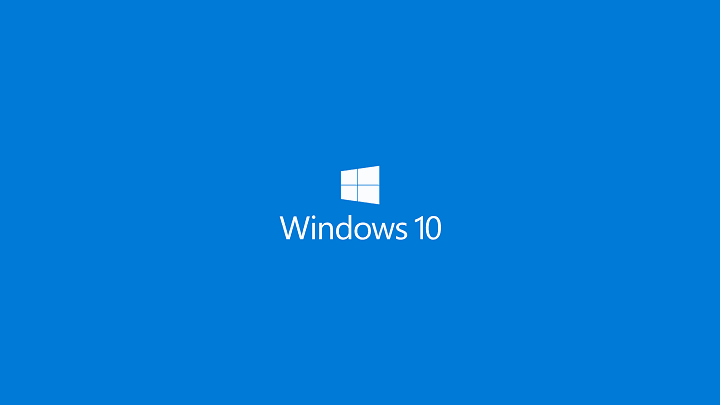 Select only Old Windows Installation on Windows and Applications sections. You should find this option in Advanced list. Now click the Analyze button to start the scan. You should now see how much space does the Windows.old folder take. Click Run Cleaner button and wait until CCleaner removes this folder from your PC. Locate Windows.old folder, right click it and choose Properties. Locate the Owner section and click Change. 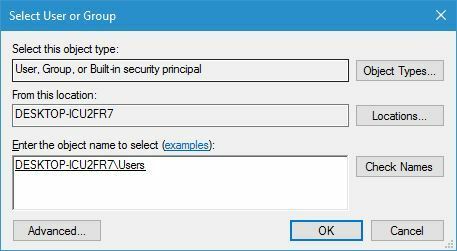 Select User or Group window will now appear. In Enter the object name to select field enter Users and click Check Names. Click OK. Owner section will now be changed. Check Replace owner on subcontainers and objects and Replace all child permission entries with inheritable permission entries from this object. If you get any security warnings just select Yes. After changing the permissions you’ll be able to delete Windows.old folder without any problems. 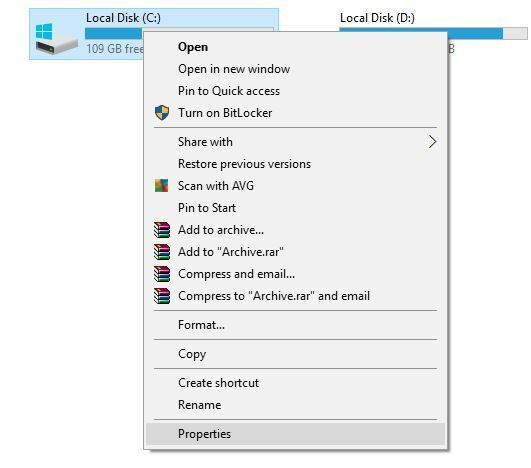 We have to mention that changing the permissions of Windows.old folder can sometimes cause issues with your Windows 10 installation, so you might want to consider using Disk Cleanup tool instead. Locate the driver files that can’t be deleted in Windows.old directory. Usually that are SurfaceAccessoryDevice.sys, SurfaceCapacitiveHomeButton.sys, SurfaceDisplayCalibration.sys and SurfacePenDriver.sys. Keep in mind that these driver files might be different on your PC. After you find the problematic drivers, you’ll need to disable the corresponding devices from Device Manager. To do that, press Windows Key + X and choose Device Manager from the list. When Device Manager opens, look for the devices that are related to those drivers. After you find the problematic device, right click it and choose Disable. After disabling all the problematic devices, try to delete Windows.old again. After Windows.old folder is removed, enable the disabled devices again. Apparently this issue appears on Surface devices, but if you experience this problem on your PC, feel free to try this solution. If you can’t delete Windows.old folder from your PC, you might want to consider using a Linux Live CD. 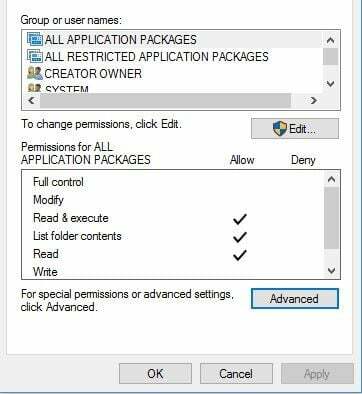 Windows.old folder is protected by your system, and in order to delete it you need to change certain privileges. Obtaining the necessary privileges might not be easy for non-advanced users, and if you want to delete Windows.old folder without changing your privileges, you might want to consider using a Linux Live CD. Simply download any version of Linux and create a bootable media. After that, boot to your PC from a bootable media. After Linux starts, locate and delete Windows.old folder. After deleting the folder, remove the bootable media and restart your PC. As you can see, Windows.old folder is extremely useful because it allows you to restore your PC after an upgrade in case anything goes wrong. Using Windows.old folder you can restore your documents and some other files even with the new version of Windows installed. As we already mentioned, Windows.old folder will be stored on your hard drive only for 10 days, so if you want to revert, be sure to do it quickly. If you’re concerned about your storage space, you can delete the Windows.old folder by using Disk Cleanup tool or by following any other solution from this article.